We believe in the value of hospitality, great service and local knowledge here at Navarre Properties. We take pride in making sure your property is rented year round and kept to the highest standards. Navarre Properties is locally owned and managed through our office located on Navarre Beach. Our focus is solely on vacation rental properties on Navarre Beach. Our friendly staff is available to homeowners by phone and email daily to provide prompt support. Entrusting your asset to a stranger can be scary, but here at Navarre Properties, our owners are friends, not strangers! We understand the value of your vacation property and will strive to ensure it is not only well taken care of but also booked to capacity to earn you more! Housekeeping staff is trained and motivated to provide consistent, impeccable service to Navarre Beach guests and homeowners. Each unit is inspected after every clean to make sure that each clean is up to the Navarre Properties standards. Navarre Properties' local maintenance professionals provide prompt, helpful service to guest and homeowners whenever it is needed, as well as 24 hours a day emergency services. If you are a current owner log in here! Should you encounter any problems logging in, please contact our office. 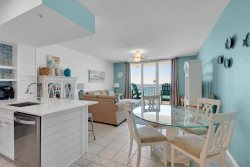 To learn more about Navarre Properties vacation rental management services, please call toll free (866) 936-1312 or contact us online here. We hope to "Sea" you in the Navarre Properties family soon!